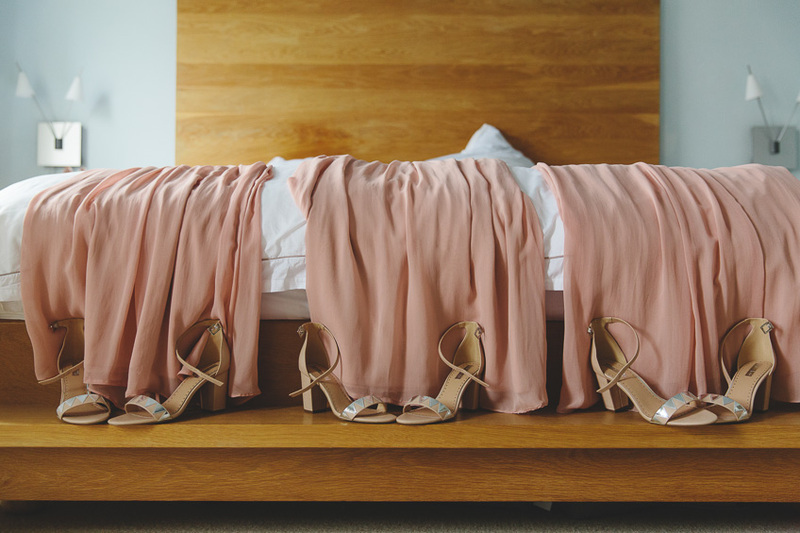 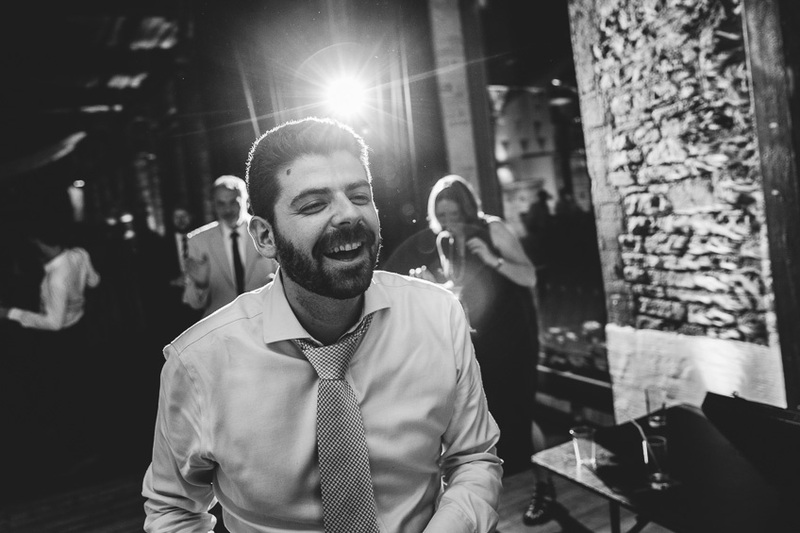 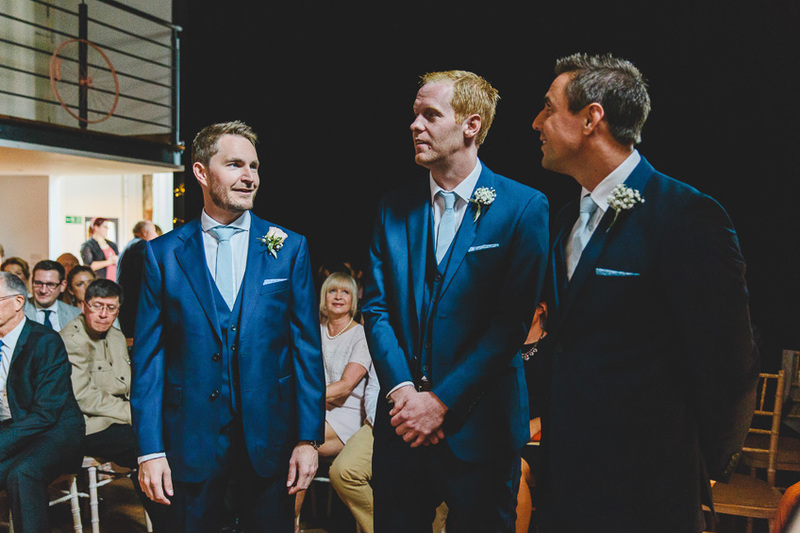 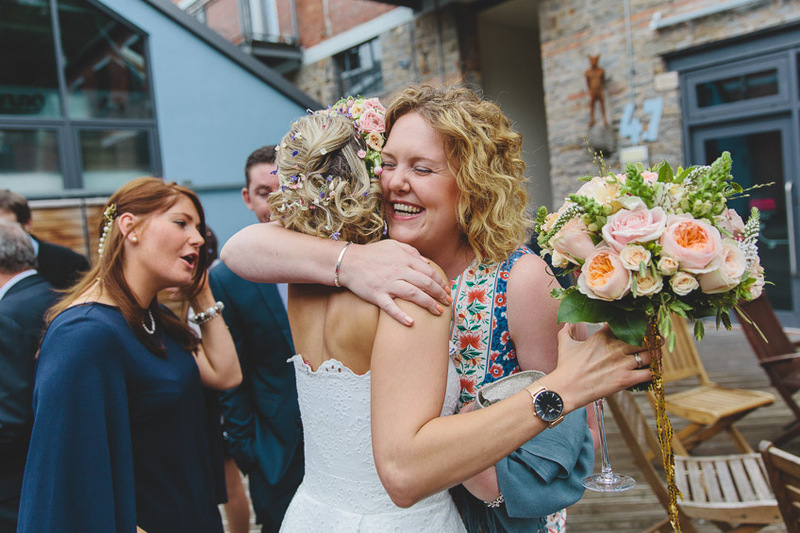 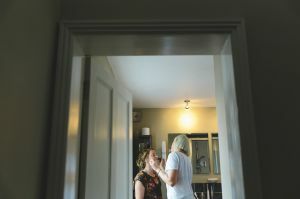 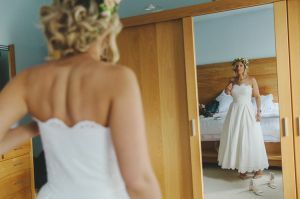 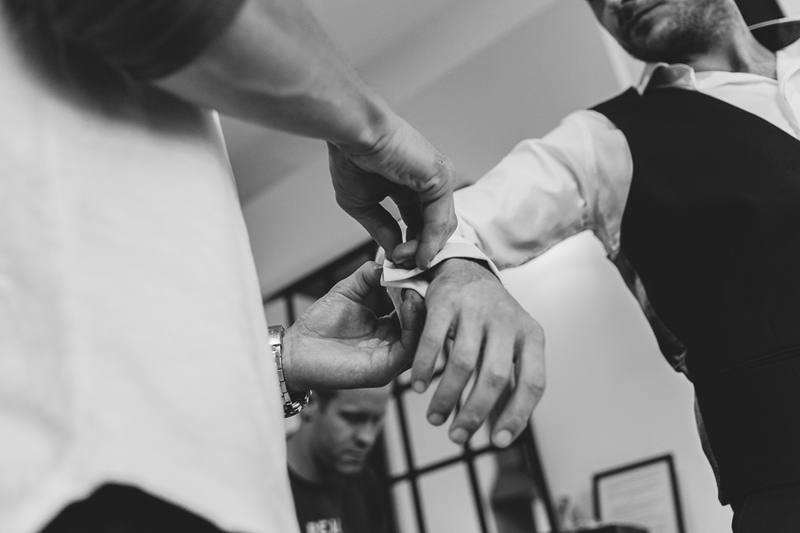 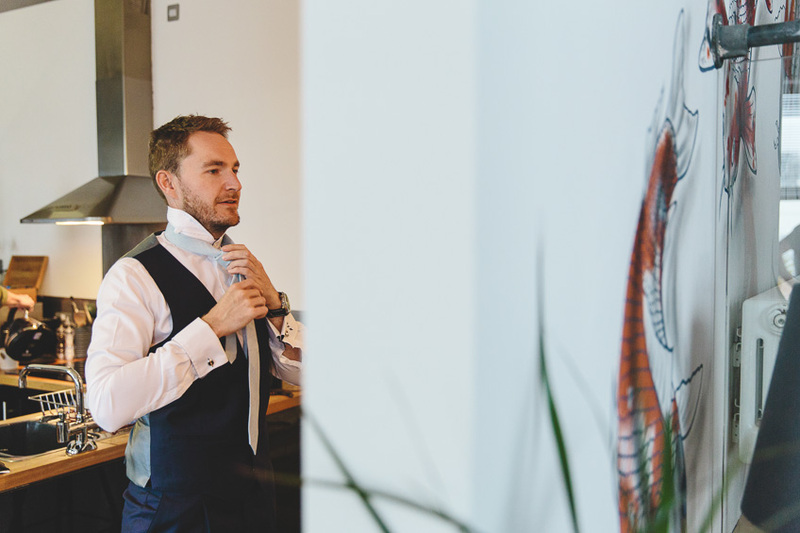 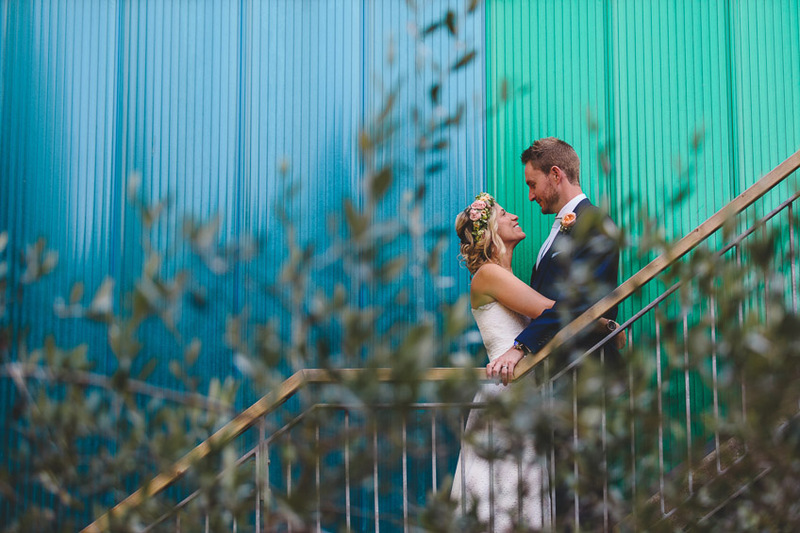 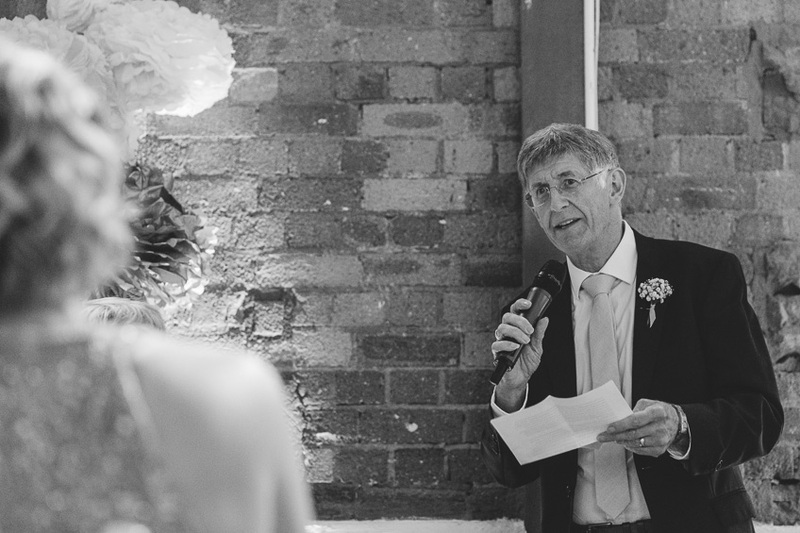 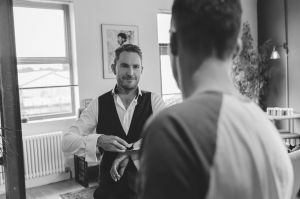 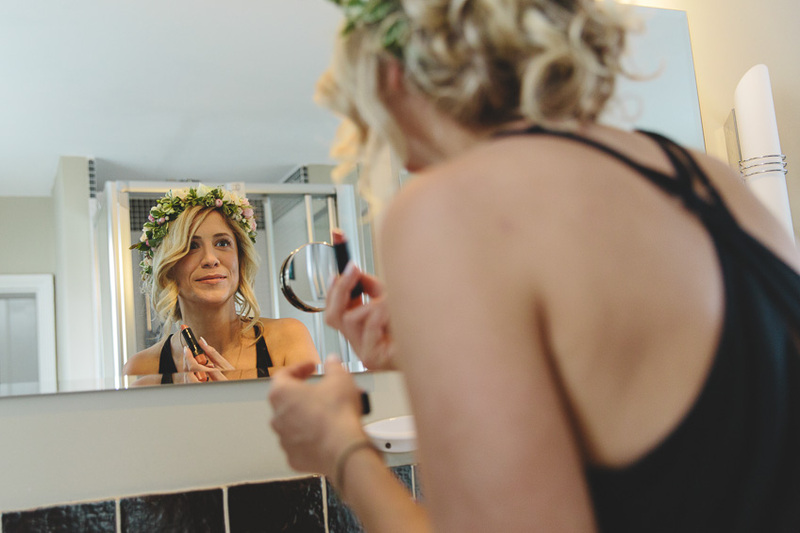 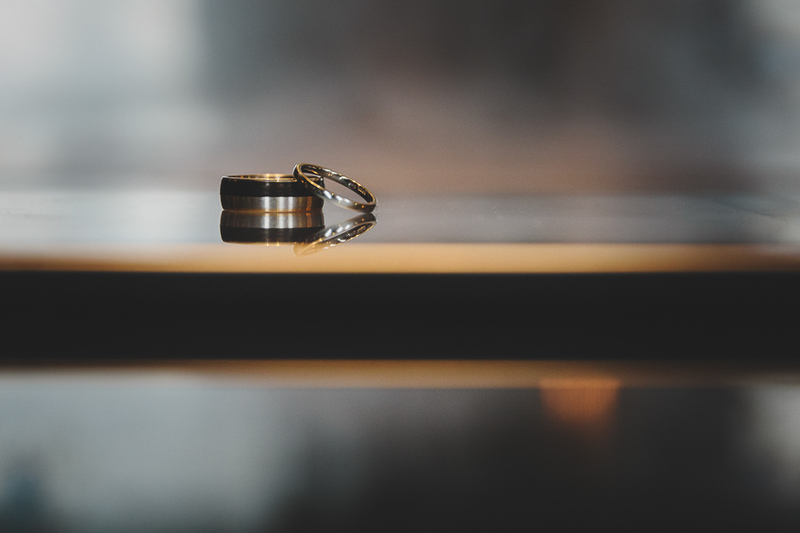 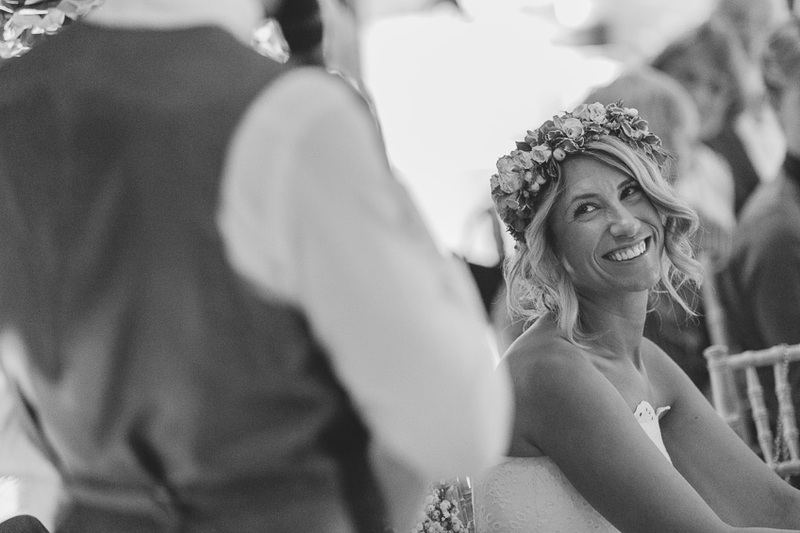 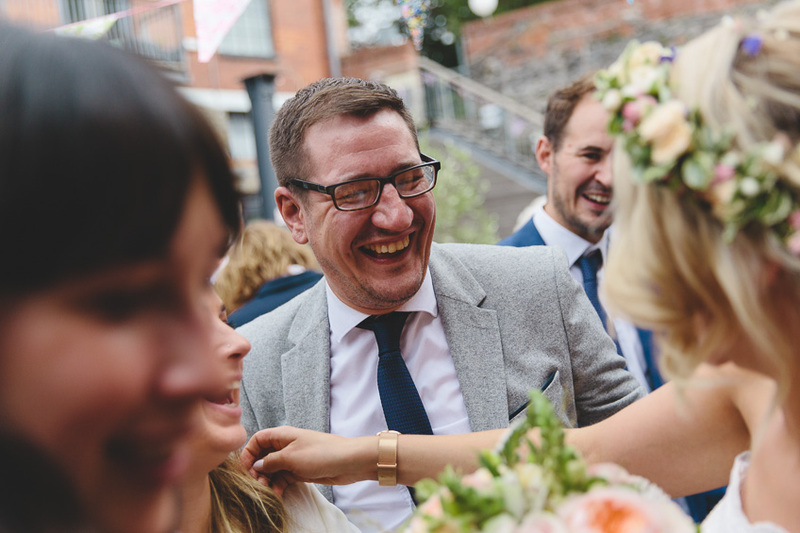 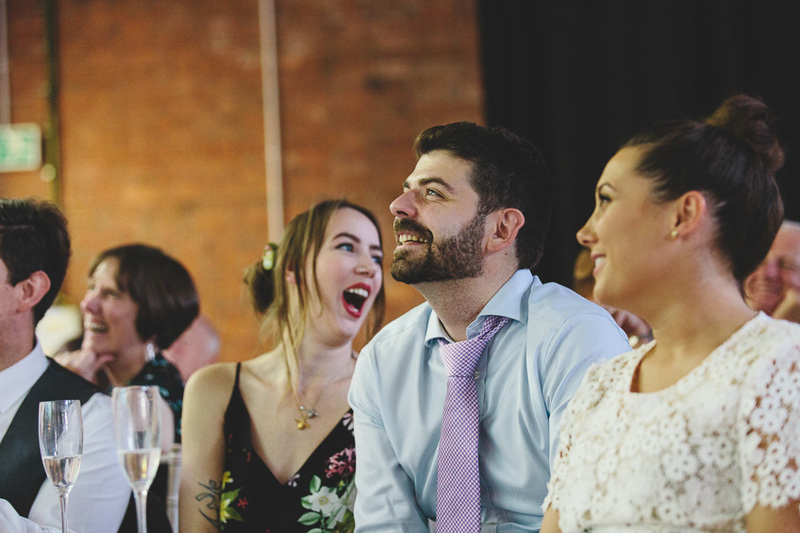 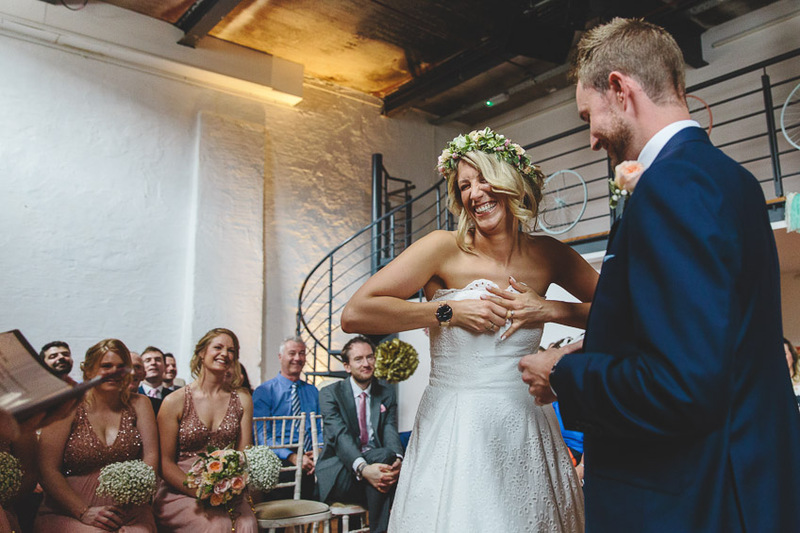 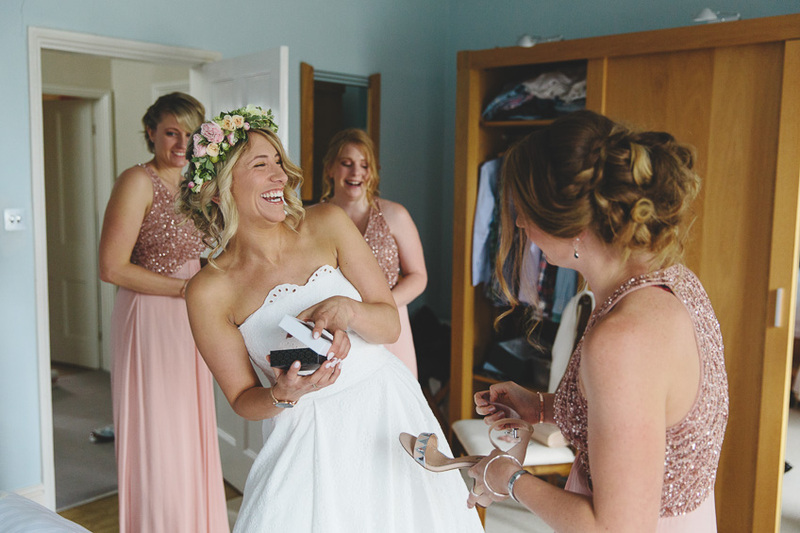 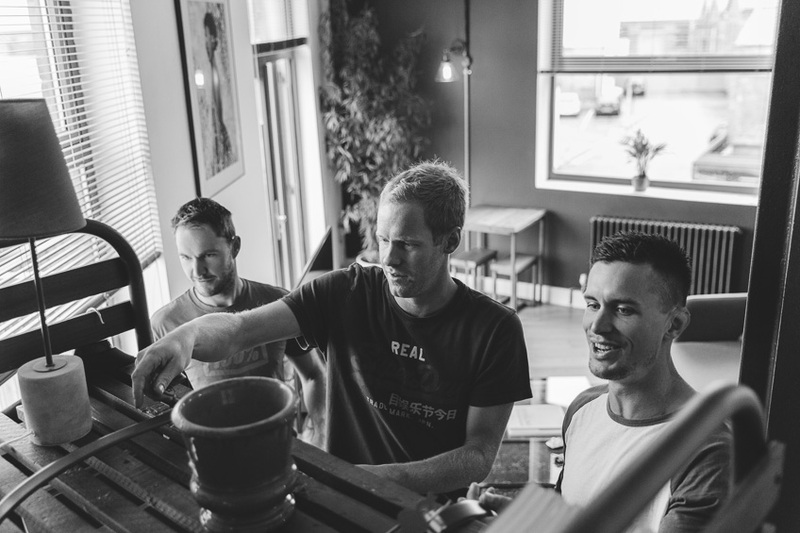 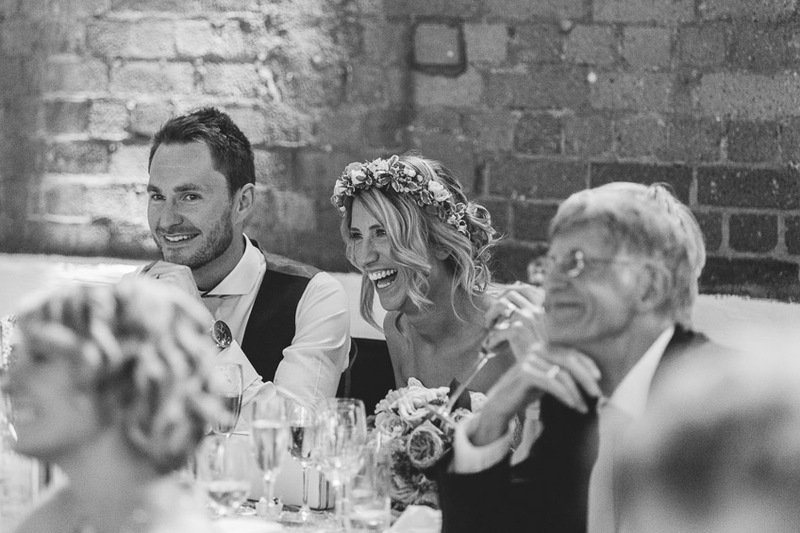 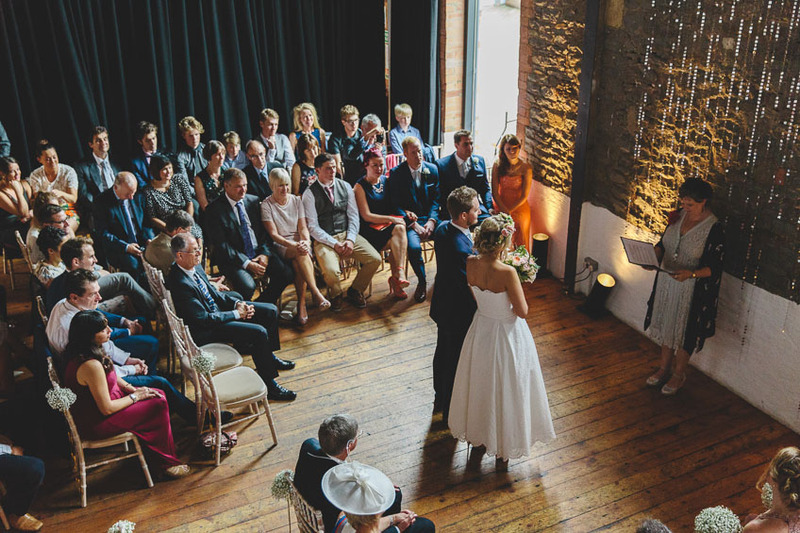 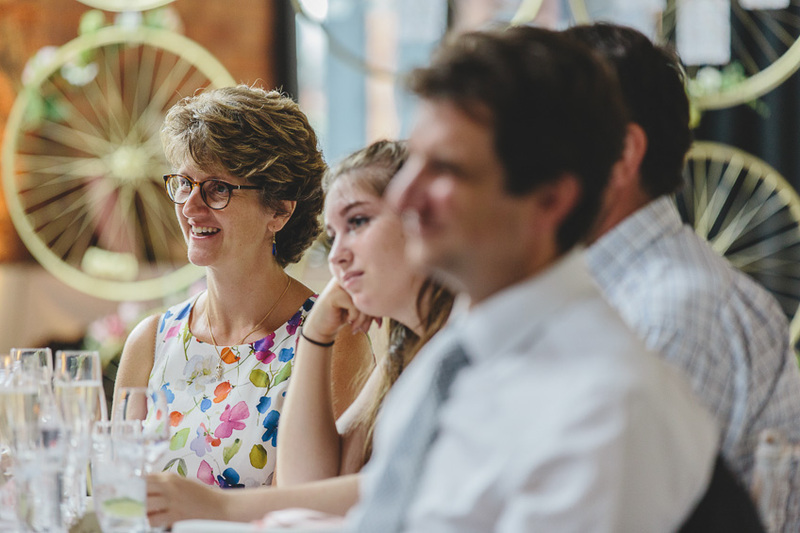 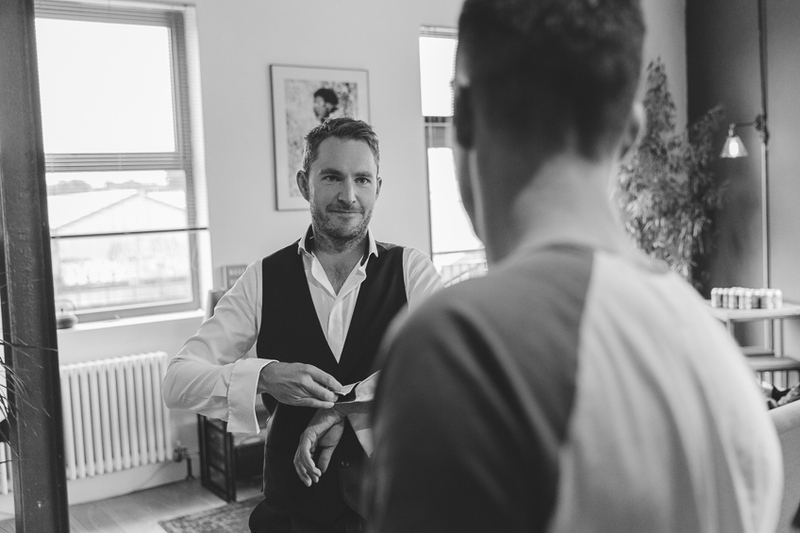 I’m delighted to be able to share Chris & Kirsty’s Paintworks wedding photos in Bristol. 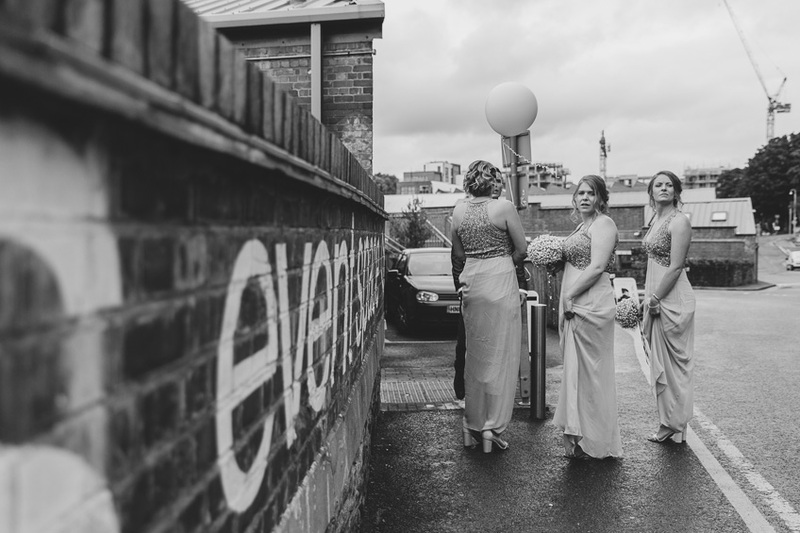 I’ve photographed at the Paintworks a few times now and I love it for its funky urban vibe. It’s got a great variety of locations for some cool portraits, and a large courtyard and event space you can put your on own stamp on. 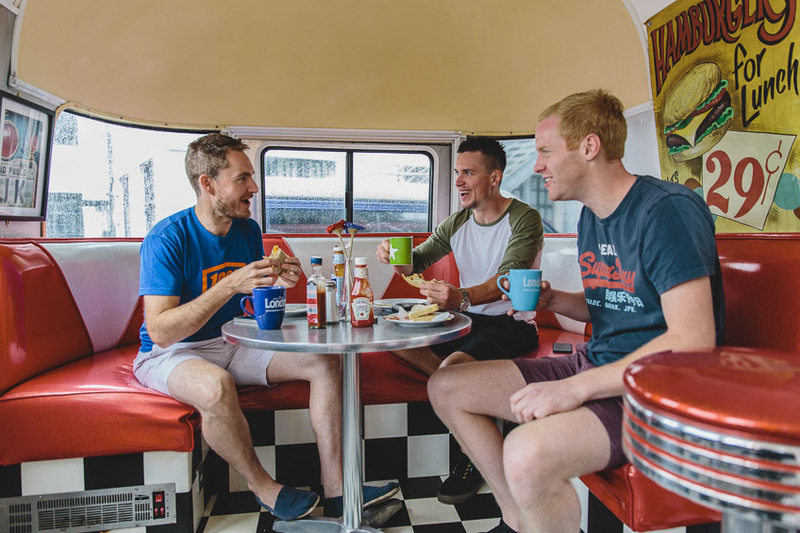 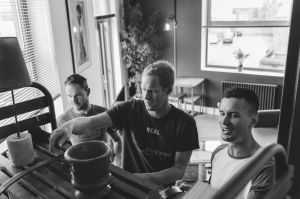 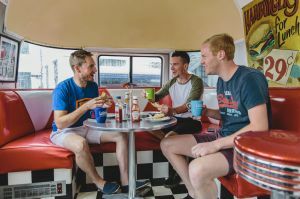 I first met up with the guys in the morning, tucking into bacon buttys in one of those silver Airstream diners just outside the Paintworks. 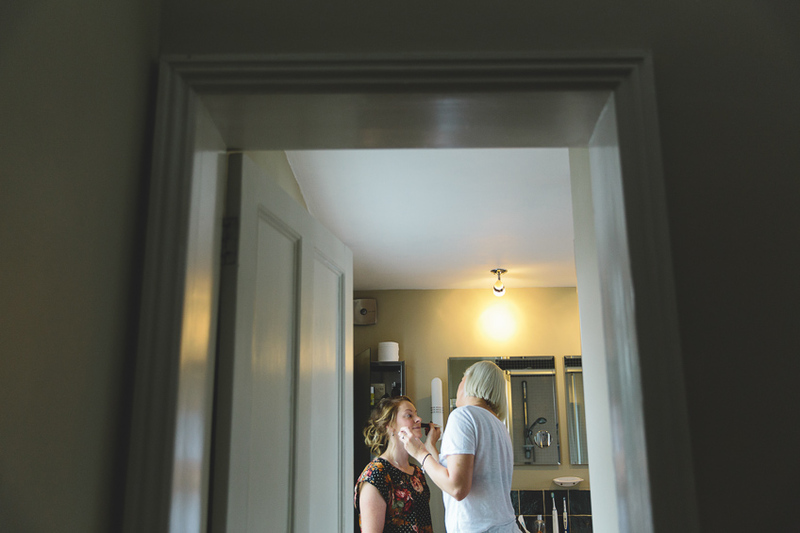 From there it was a short drive over to meet the girls getting ready at the house. 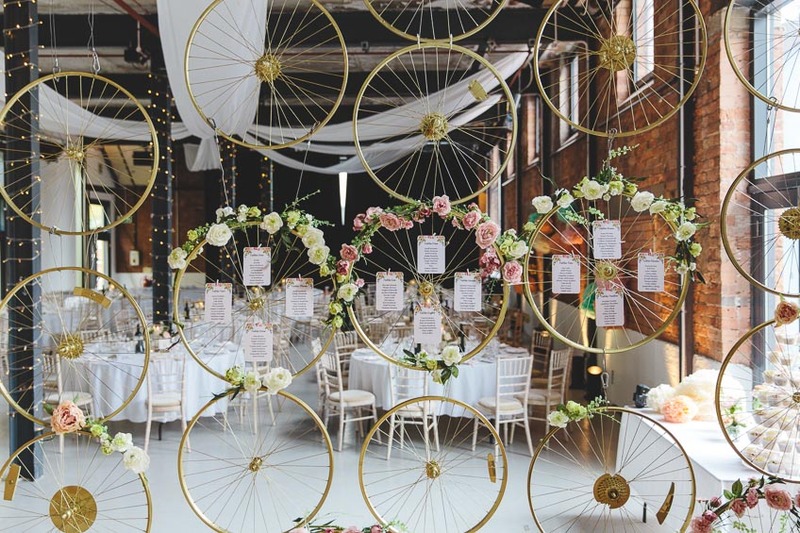 I should mention that Kirsty & Chris really, really love their bikes. 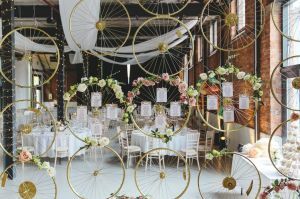 You’ll notice the ongoing cycling theme at the venue, including some very cool looking name cards and a magnificent golden wheel wall (bravo!). 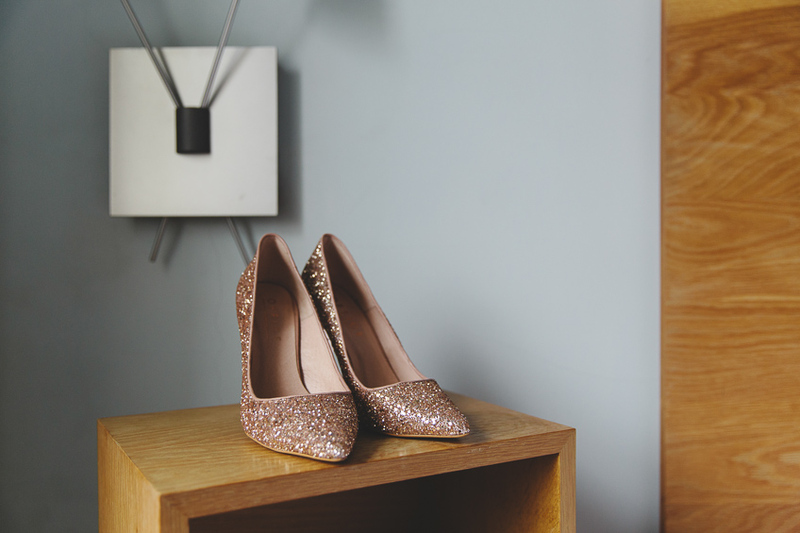 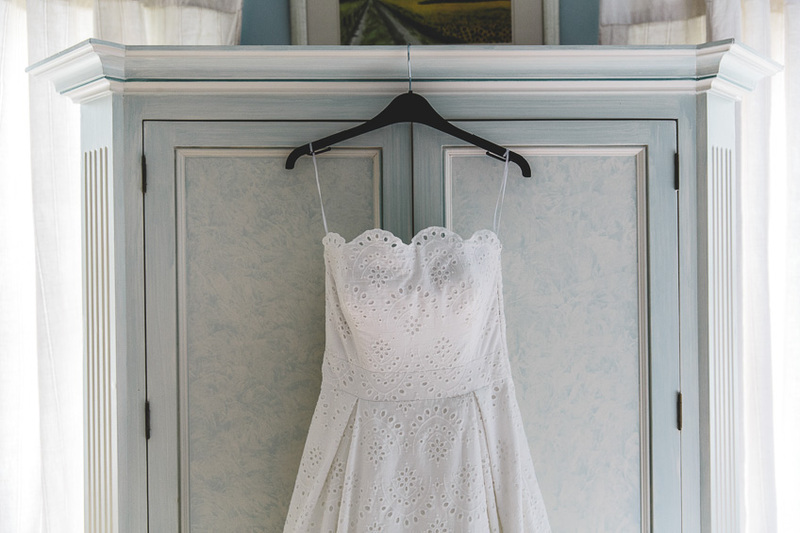 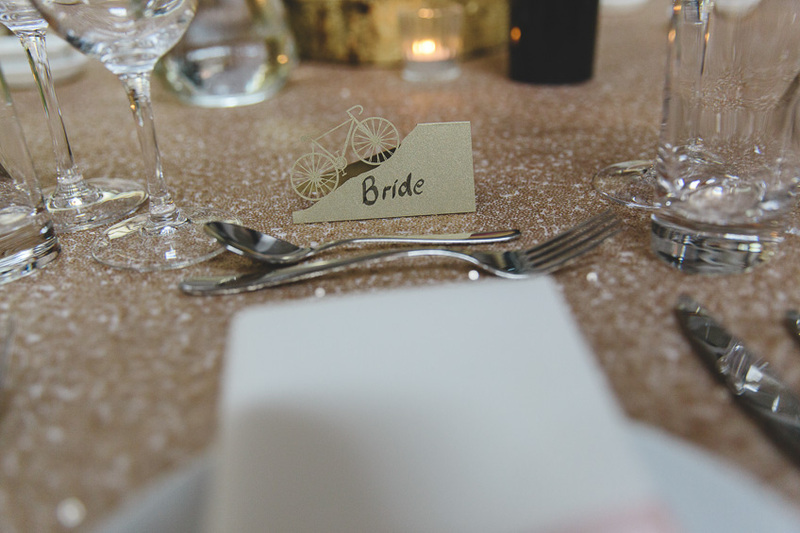 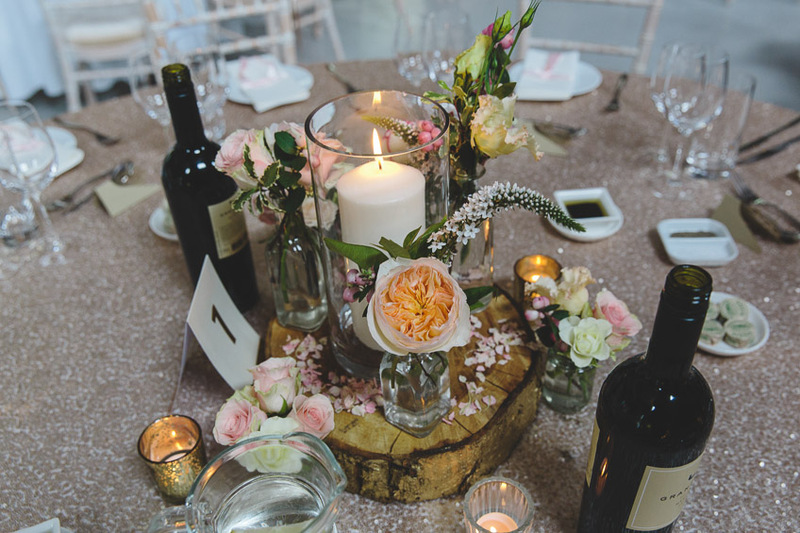 But don’t let these polished looking details deceive you! 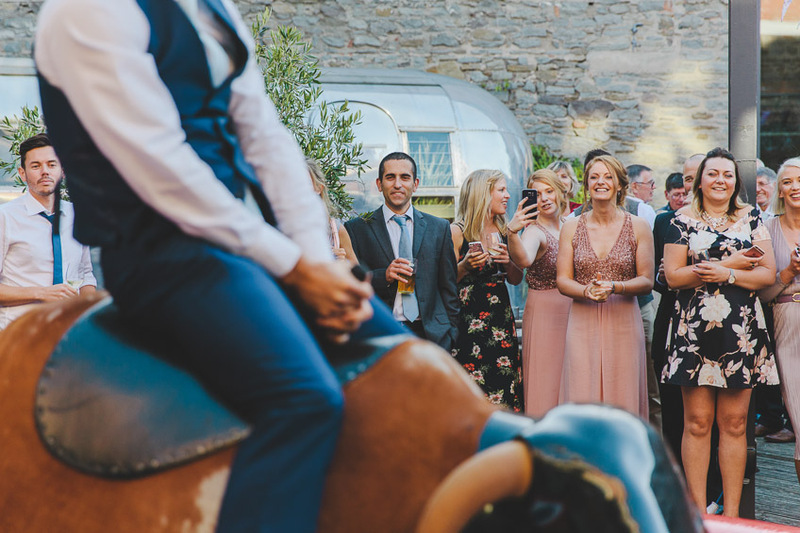 You won’t find K&C riding casually through the countryside. 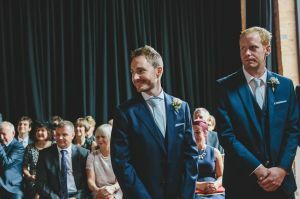 I’m reliably informed that they are both mountain biking adrenalin junkies out for maximum fun whenever possible. 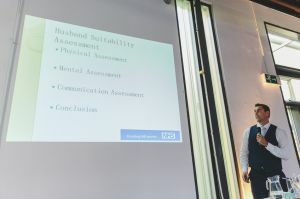 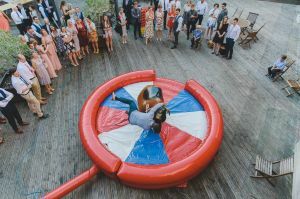 And so it was with their wedding day, with an emphasis on making sure all their guests had a lot of fun. 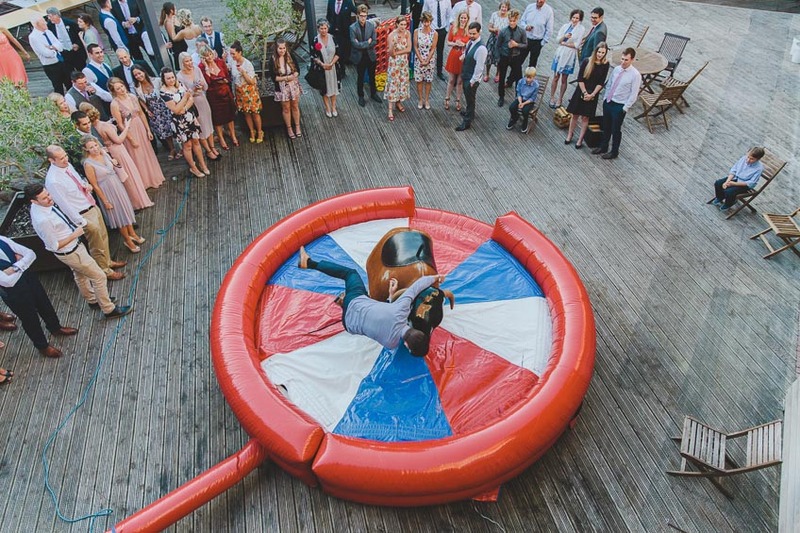 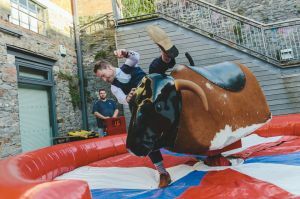 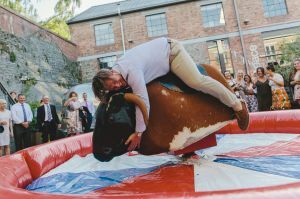 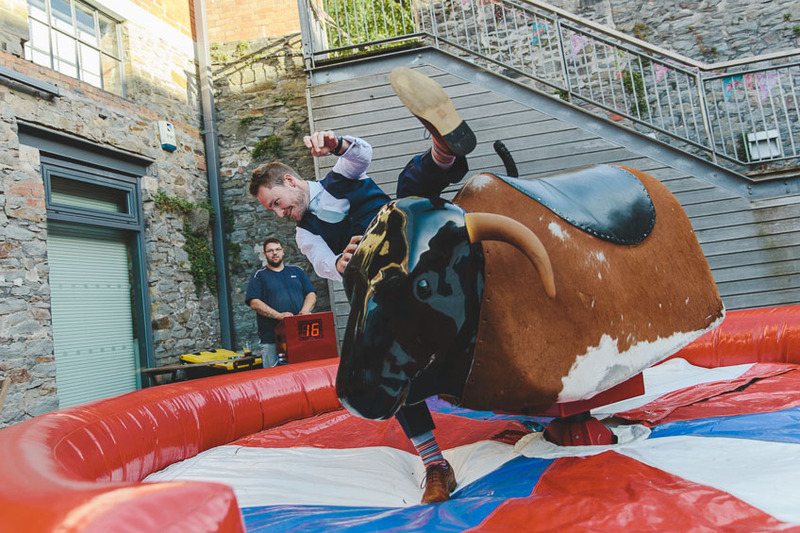 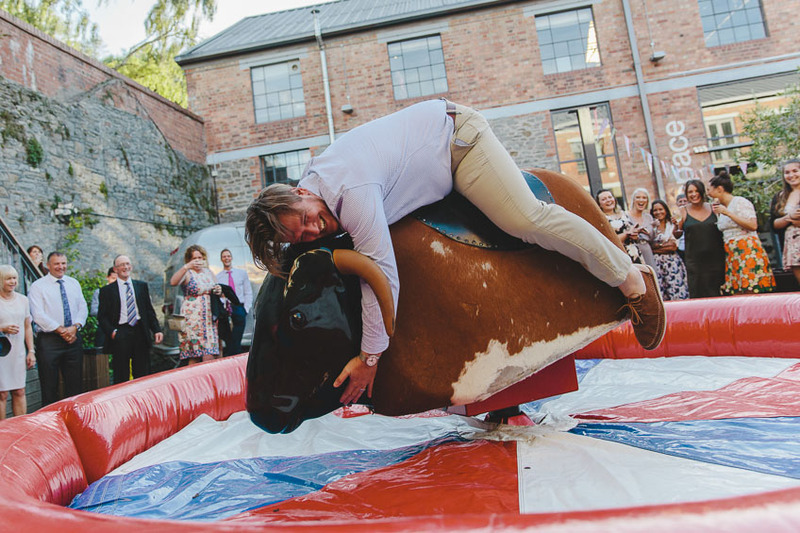 Cue the bucking bronco for some great action photos! 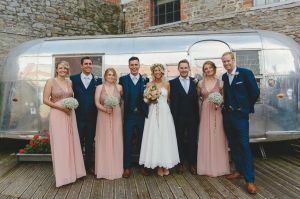 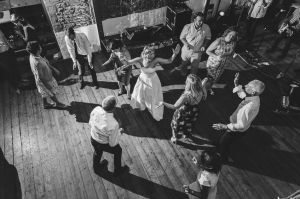 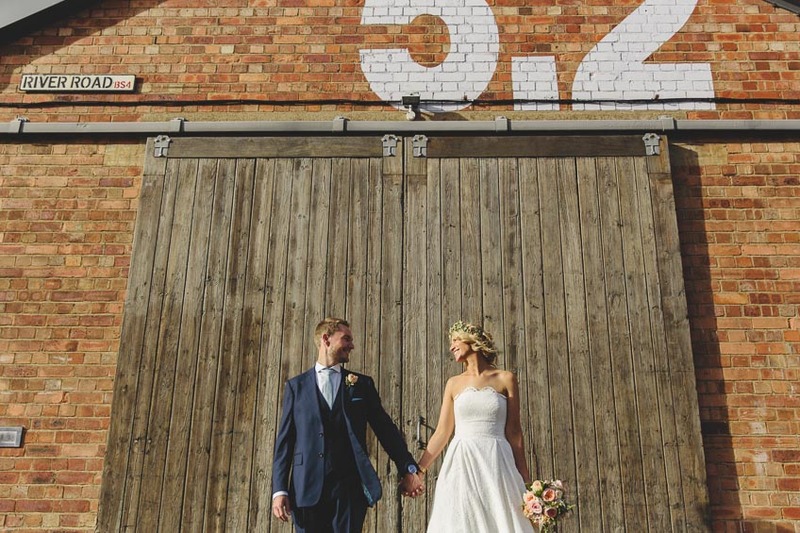 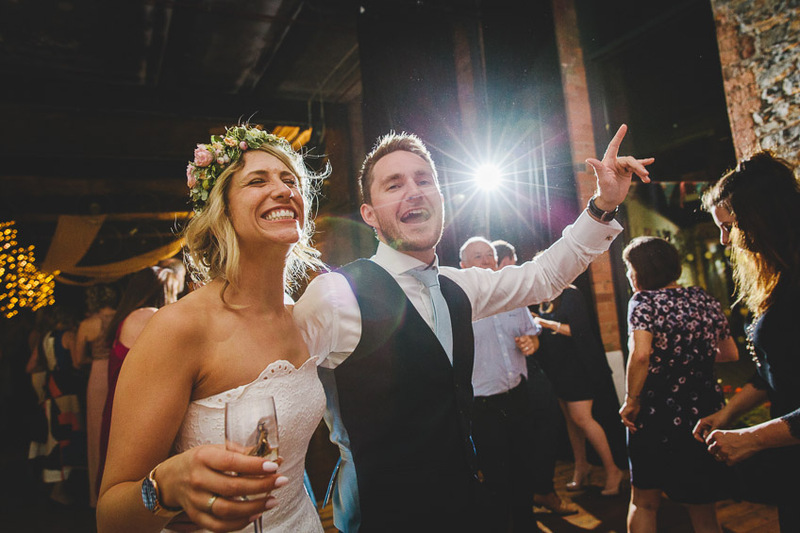 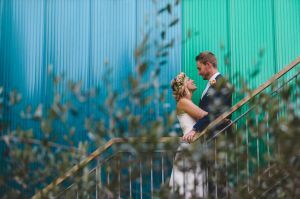 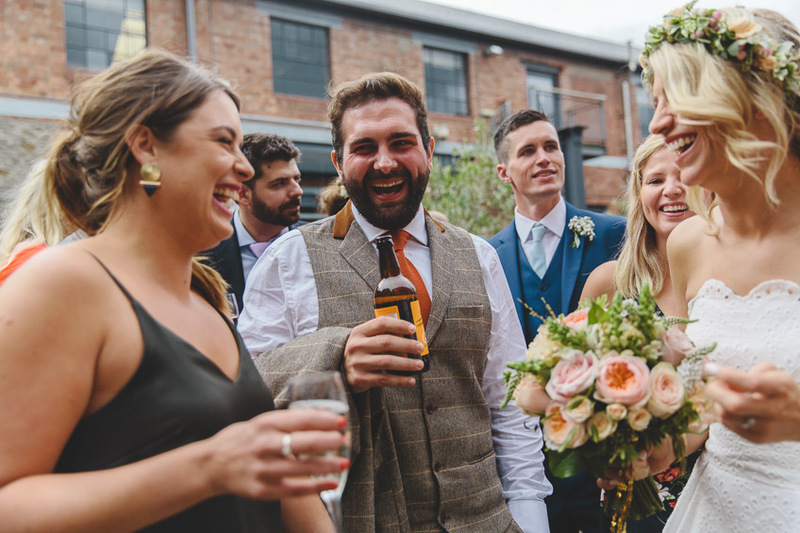 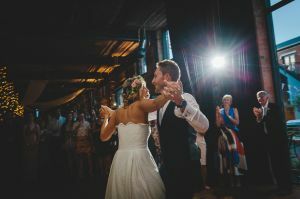 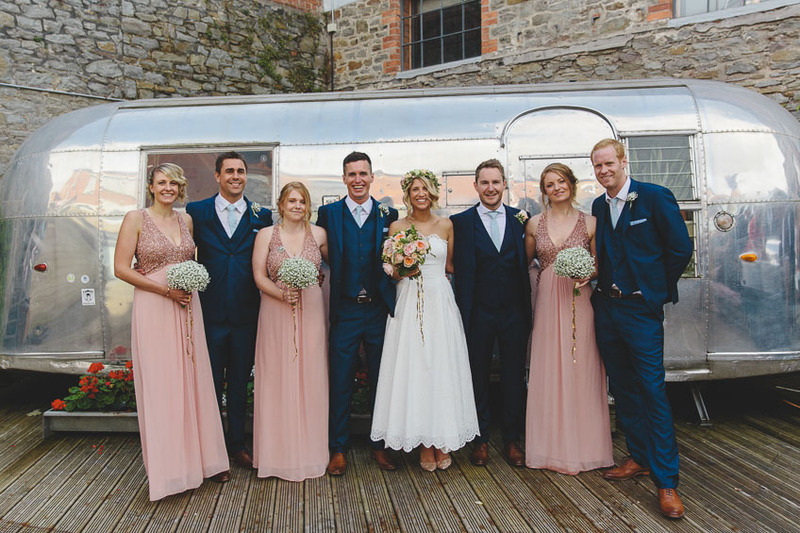 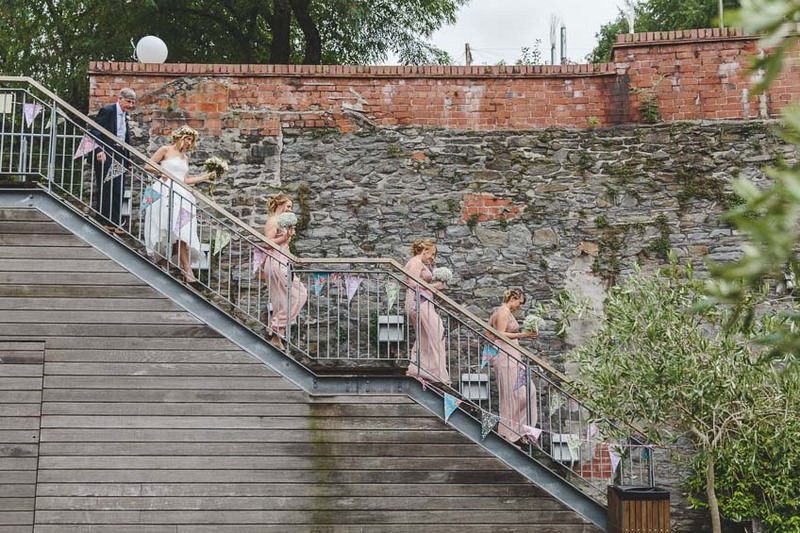 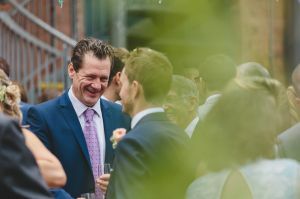 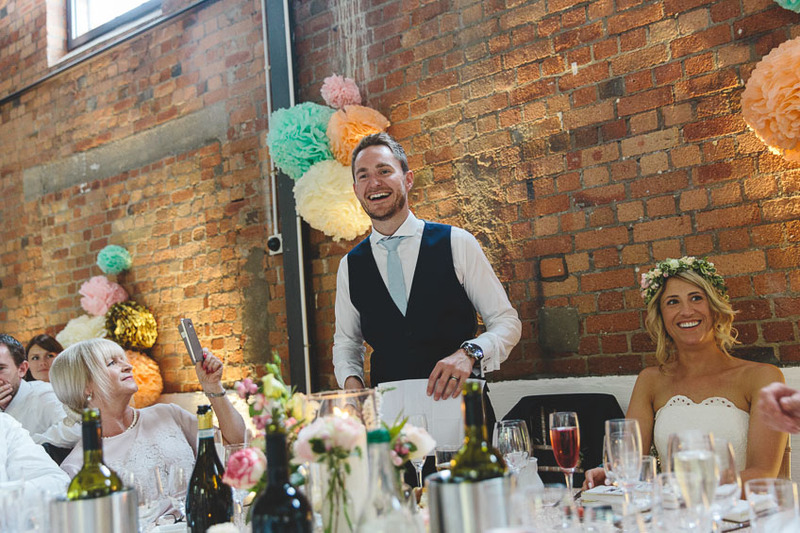 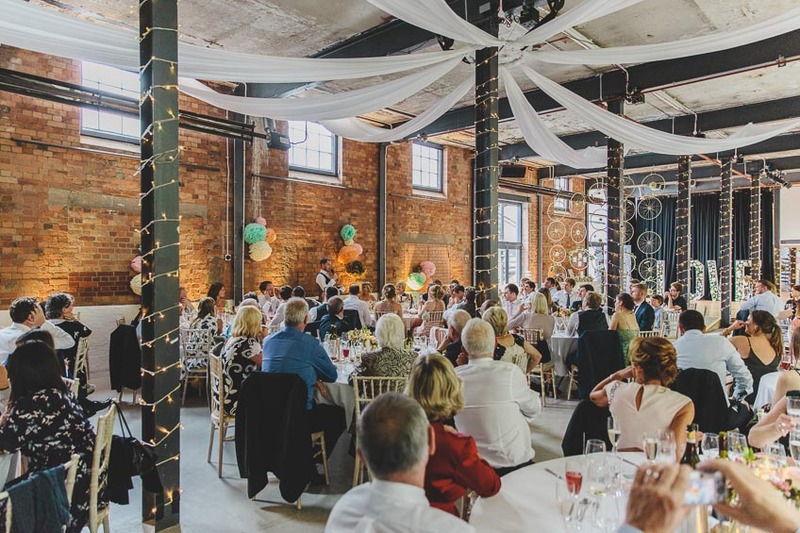 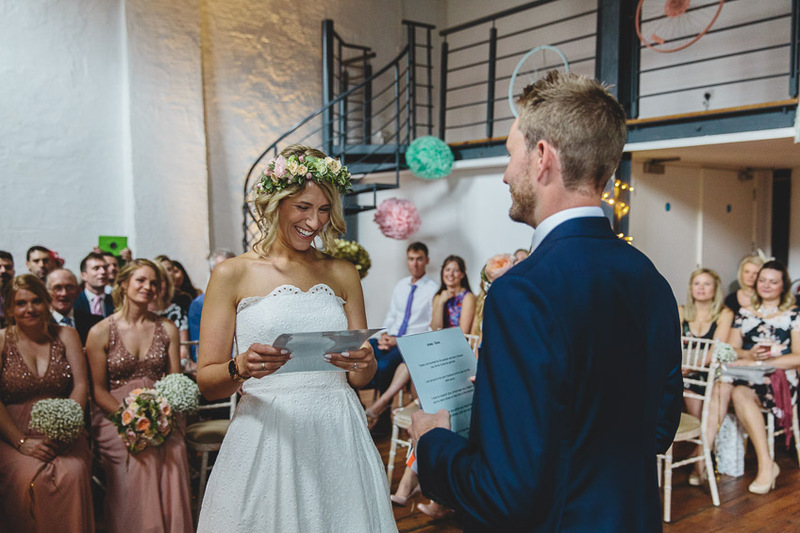 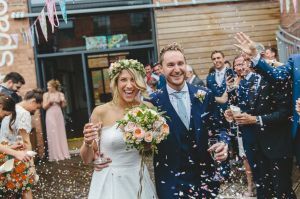 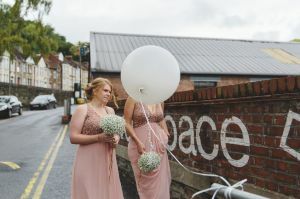 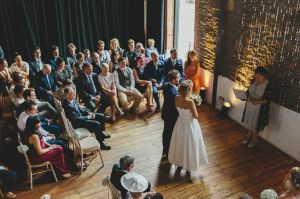 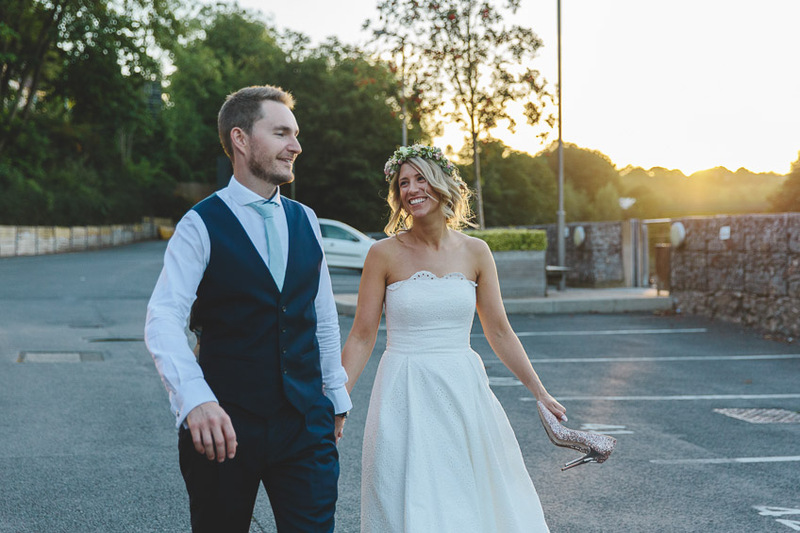 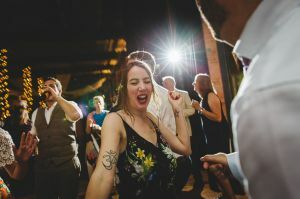 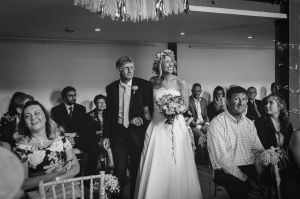 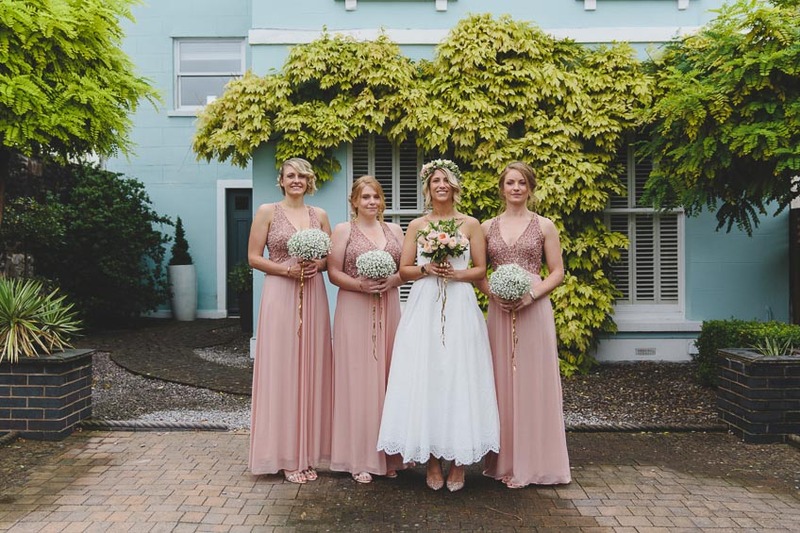 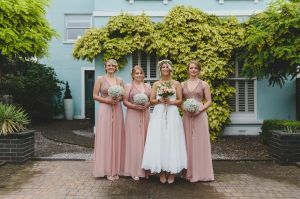 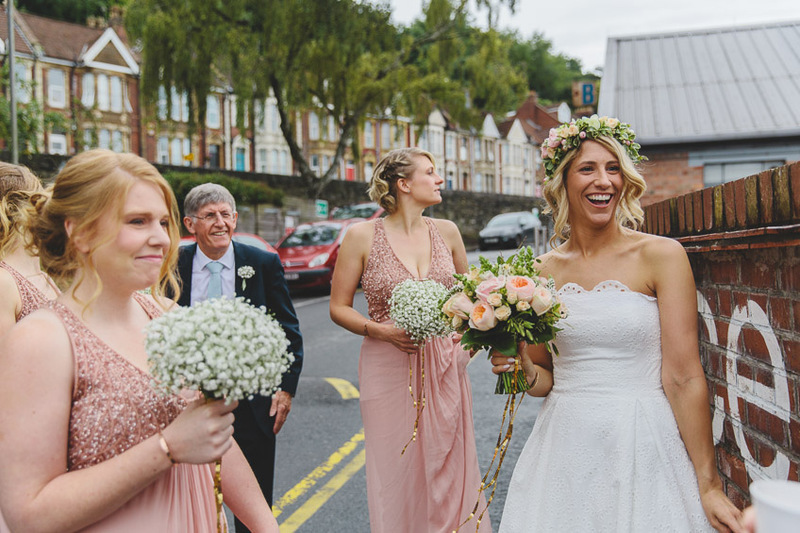 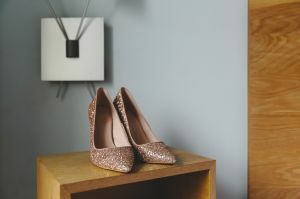 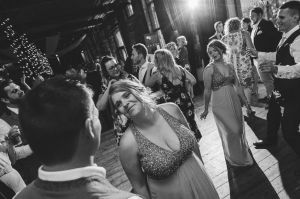 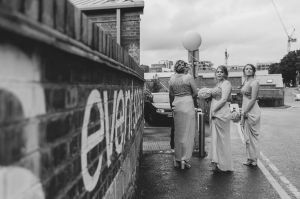 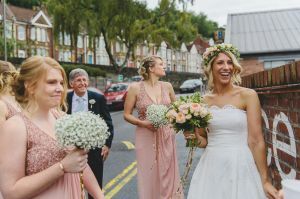 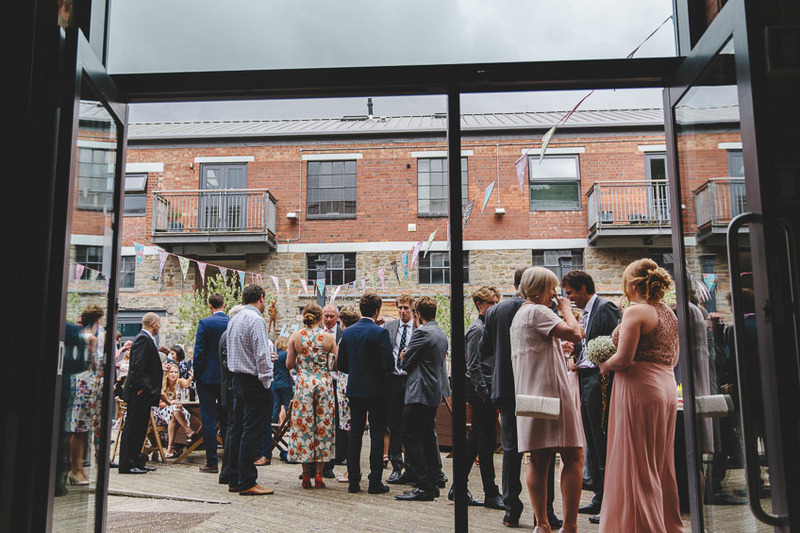 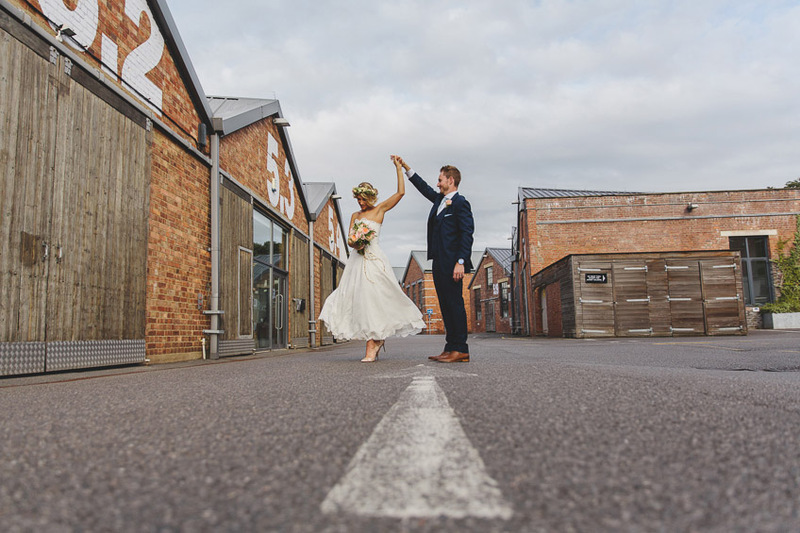 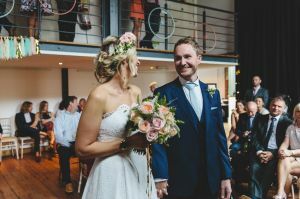 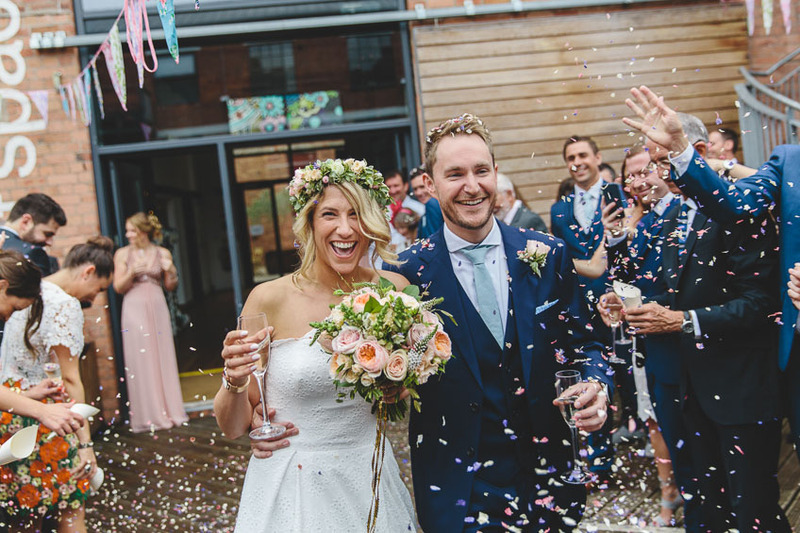 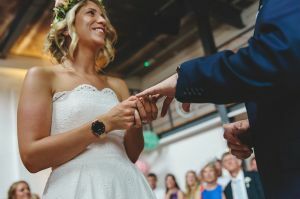 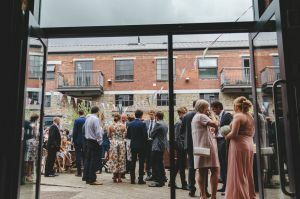 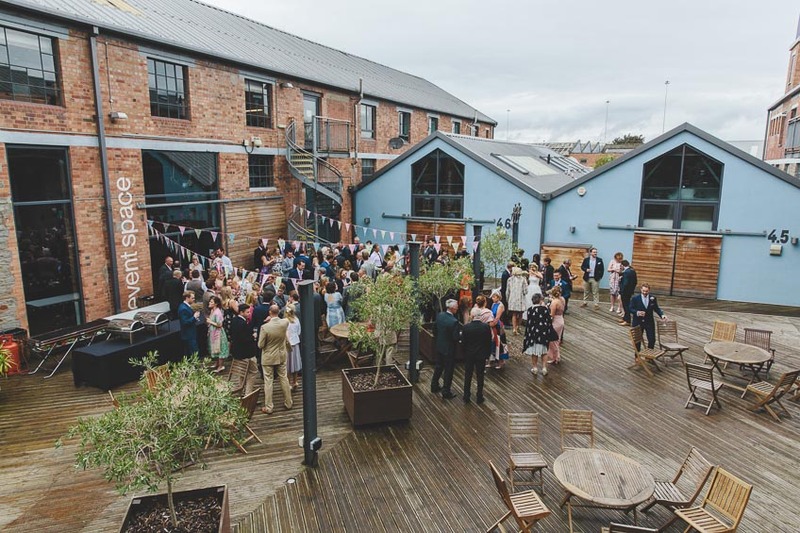 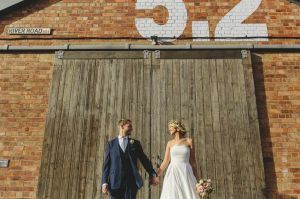 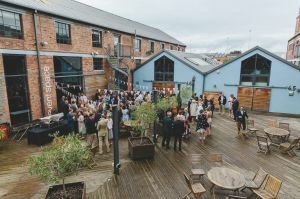 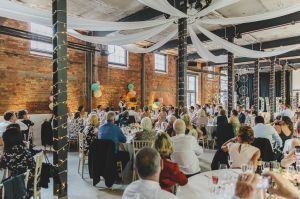 This entry was posted in Weddings and tagged Bristol Paintworks, Bristol Wedding Photography, Summer Weddings.